Another reason to workout… better sleep at night. We all could use a bit more sleep, here’s why and how you can achieve a good restful night, every night. those who workout at least 150 minutes per week (the national guideline) achieve better sleep at night and feel less sleepy throughout the day. That’s just about 21 minutes a day- do a JōbuFIT workout and you are half way there! 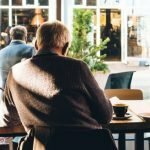 The National Sleep Foundation study, conducted with 2,600 people ranging in age from 18-85, had simple and meaningful conclusions. 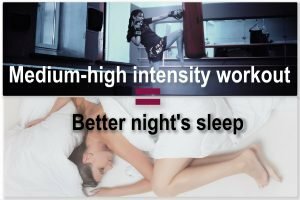 The findings: 150 minutes of medium-high intensity workouts improve the quality of 65 percent of the participant’s sleep. This study also found that physical activity reduces the frequency of leg cramps while sleeping by 85 percent and people have shown less trouble concentrating when tired by 45 percent. JōbuFIT’s healthy workplace lifestyle will get you moving, build a stronger body, and get you closer to the National Sleep Foundation recommended 150 minutes. 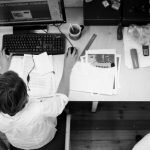 Get started with these simple sitting tips. When you are ready for a good night’s sleep, try my 3 steps to help you get to sleep and stay asleep* found HERE. 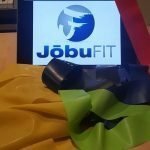 We can now add improved sleep quality to the list of benefits physical activity and the JōbuFIT lifestyle helps. Activity helps concentration, reduces leg cramps while sleeping, and decreases the use of sleep aids. Overall, working out contributes and supports an even life cycle and keeps your body’s physical and mental well-being in line. If you haven’t started yet, go hit the gym, get outdoors or go to your favorite workout class and get your 150 minutes of physical activity in every week.